We may not be the yellow submarine but we will go to all depths for you. 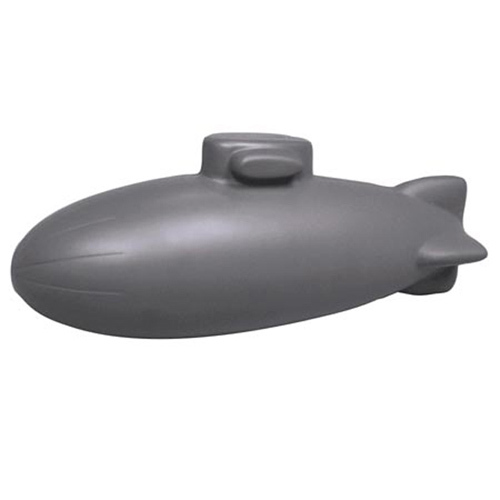 Submarine Stress Ball is made of Squeezable polyurethane foam. Stress balls or stress relievers are becoming a trendy giveaway item. Because of the many shapes now available, stress balls are generically known as stress relievers. These stress relievers are an extremely affordable way to promote your business. 1-1/2" x 4" x 1-1/2"
Bulk / 20 lbs / 350 pcs. / 22x15x14box. Imprint Area: 2" x 0.5"